Glorious beaches, thrilling water sports and spectacular nightlife. All this is waiting to be enjoyed during a mesmerising 3-star holiday in the vibrant resort of Pattaya. Savour blissful beach days and colourful tropical nights in the bustling Thai resort of Pattaya. Here are our top picks for an unforgettable 4-star holiday in this phenomenal destination. Embrace luxury tropical living during an incredible 5-star escape in the colourful beachside destination of Pattaya. With a number of resorts to choose from, you can start planning your dream holiday today. Combine the dazzling exotic delights of Pattaya with ultimate beach bliss or urban adventures in other phenomenal destinations, on one of our incredible 3, 4 or 5-star holiday packages. The world­ renowned resort of Pattaya has long been associated with Thailand’s spectacular nightlife scene. Glitzy go­go bars and neon discos make this twenty­four hour city a mecca for partygoers. 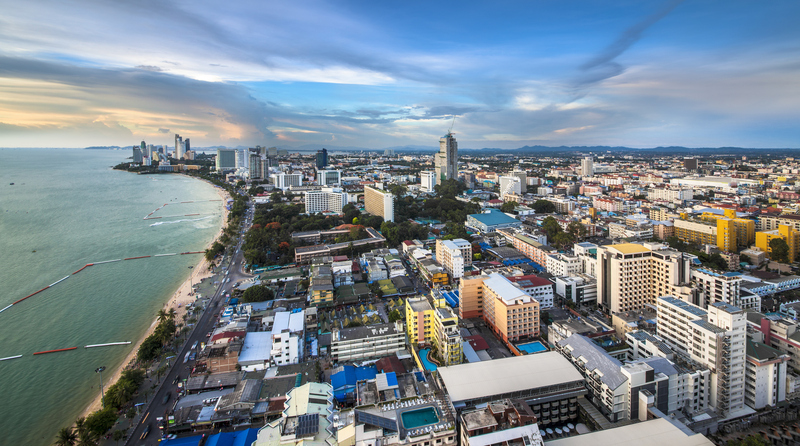 Pattaya is situated on the stunning Gulf of Thailand’s coastal stretch, approximately two hours southeast of Bangkok. 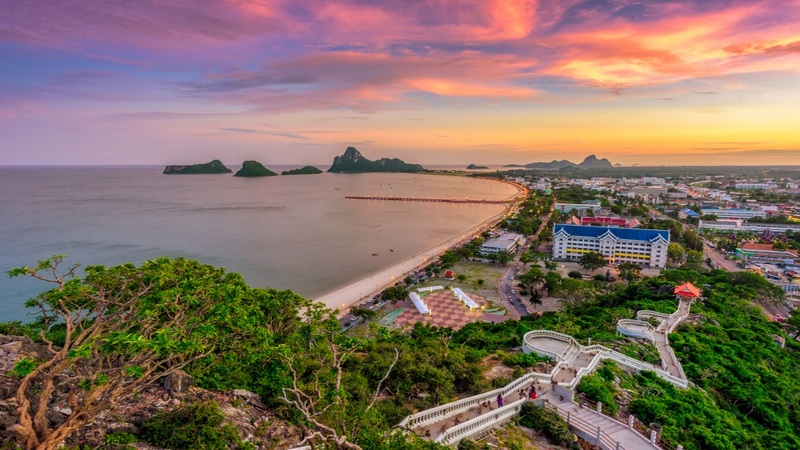 The town’s prime location means holidaymakers can expect an array of glorious beaches, including the more family­ orientated Jomtien Beach. Nightlife aside, holidays to Pattaya boasts a number of interesting cultural attractions, including ancient temples and floating markets. However, visitors to this bustling resort should be under no illusions, Pattaya is famed for it’s nightlife. 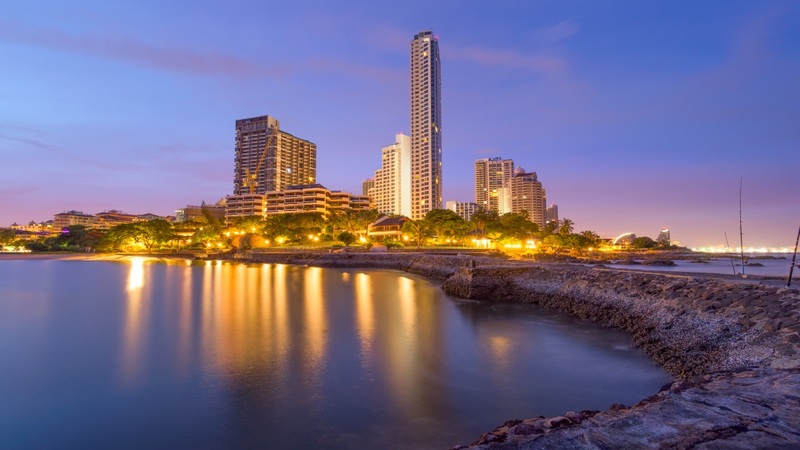 Top of the list of highlights for holidays to Pattaya in 2019 / 2020, is Pattaya Beach. By day, this 4km stretch of golden coastline is the place to be. Those looking to make the most of their time by the sea will be able to book onto a number of exciting holiday activities, including water sports, scuba diving and boat trips. Holidaymakers looking for somewhere a little more laid­back will want to make the short trip to Jomtien Beach. Like Pattaya Beach, this quieter coastal stretch is home to a vast selection of restaurants and bars. 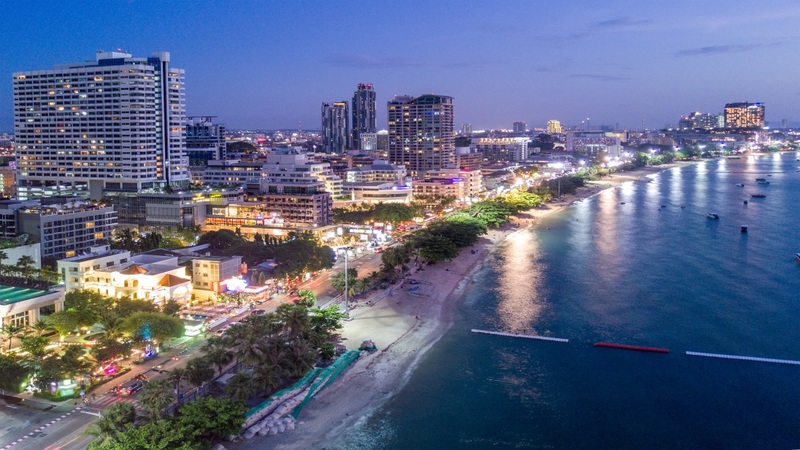 Back in Pattaya, visitors who stroll further inland towards the town will find a wide­ selection of shops, including the multi­-storey Mike Shopping Mall. The centre is perfect for those who are looking to indulge in a little retail therapy, with countless shops and eating­places. Away from the hustle and bustle of Pattaya’s main district, about 3km out of town, is the majestic Sanctuary of Truth temple. The 105 metre tall building has been carved entirely out of wood and features intricate Buddhist and Hindu­ inspired designs. It’s also worth making some time for a visit to the superb Pattaya Floating Market – the biggest of its kind. Visitors to the market can catch a boat ride around the market’s waterways and purchase a wide­ range of goods, from local produce to authentic Thai silk. More nature-­orientated activities include the Sriracha Tiger Zoo and Pattaya Elephant Village, where holidaymakers will be able to hitch an alternative ride through the jungle! When night falls, Pattaya’s bars and entertainment venues come alive. Cabaret, Go­Go bars, nightclubs and Pattaya’s red light district, the infamous Walking Street, turn the city into a strip that would give Las Vegas a run for its money. Pattaya has a tropical climate and enjoys warm weather all year round. Temperatures often range between the mid twenties and early thirties depending on the time of year. Like most parts of Thailand, the weather can be split into three seasons; wet, dry and hot. Pattaya’s rainy period, or monsoon season, lasts from September to October. During this time, wetter weather is to be expected, although sunshine is still prevalent. Many consider the months between November and February to be Pattaya’s best season, with temperatures manageable. Easter time is when the town enjoys its hottest weather and temperatures are known to reach into the mid thirties. One major event to look out for is the Songkran water festival. The festival usually takes place between 13th to the 15th April (Thailand New Year). During this time, Pattaya becomes inundated with revellers and can be very busy.